We sell boxes and packing supplies! Conveniently located in our large showroom, we have in stock all sizes of high quality, military grade boxes. Every size you can wish for from small boxes for packing heavy items such as books and heavy kitchen items all the way up to X-large boxes for lighter items such as: pillows, comforters and blankets. We carry specialty boxes such as mirror boxes and wine boxes. We also sell a wide array of packing items such as tape, bubble wrap, peanut paks, blankets for protecting furniture and newsprint for wrapping delicate items. Come on in for great pricing and specials bundled pricing every day! We are located in the heart of Solana Beach right off the 5 freeway for your convenience. To make it extra easy on you, we provide FREE delivery in the local area!! (subject to terms and conditions). We provide the free truck and helper, and the one-stop shopping for the professional supplies to ease your path to the free and easy Southern California lifestyle. 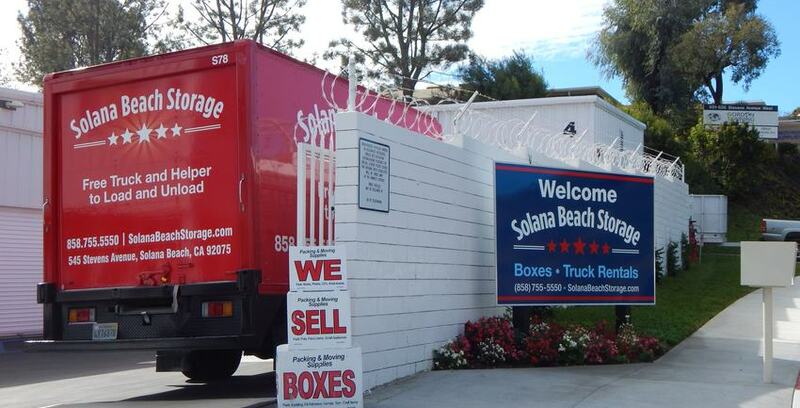 You don’t even have to make that one stop to purchase your moving supplies in San Diego. We will deliver your boxes to your door! Pack your possessions gently with foam peanuts or bubble wrap, and protect what won’t fit in any of our many sizes of boxes with furniture covers or moving blankets. 5 Star Storage has many years of experience and knowledge to ensure a refined and rewarding boxing and packing experience. Our boxes are military grade, corrugated boxes.